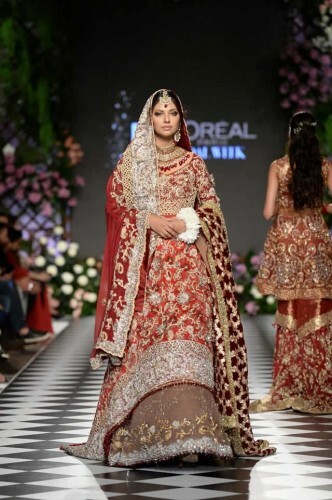 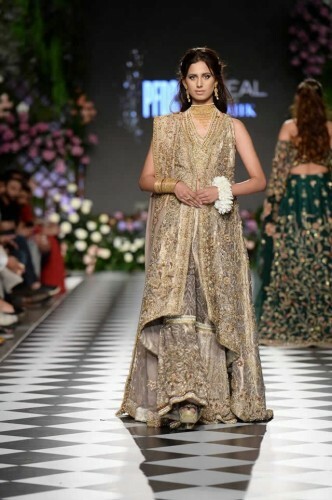 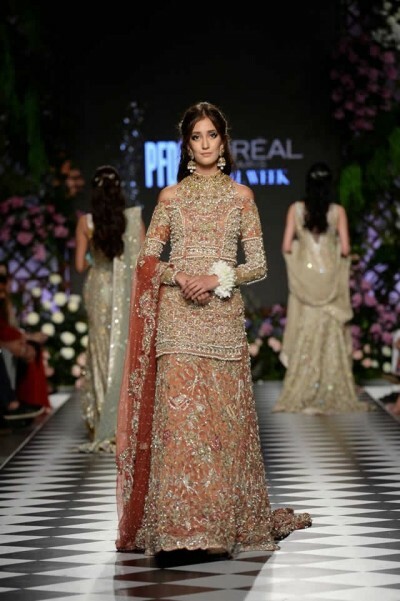 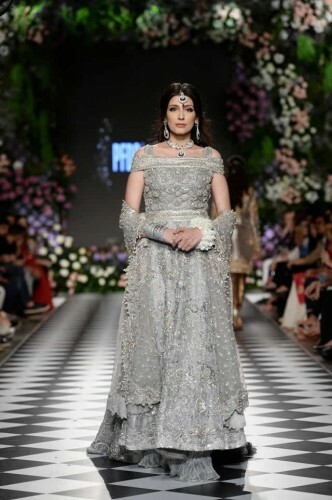 The latest and new dress collection, Lajwanti A Tale of Spain’ has been showcased at PLBW 18 and this collection is opened by Lajwanti with the bridal collection, ‘A Tale of Spain’. 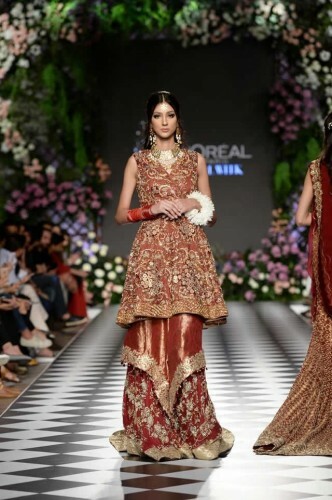 This dress collection is inspired by the Muslim influence in Spain during 799 AD and the motif work and the details are taking the inspiration from vibrant architecture and culture. 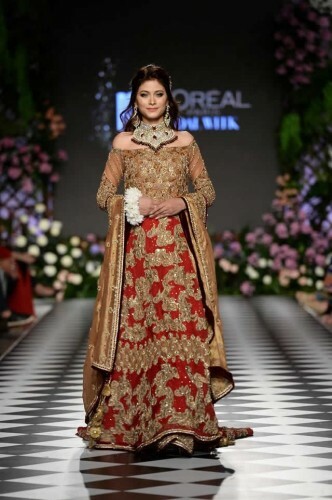 The color palette is prepared on the shades of red, green and gold and it shows the essence of the traditional weddings. 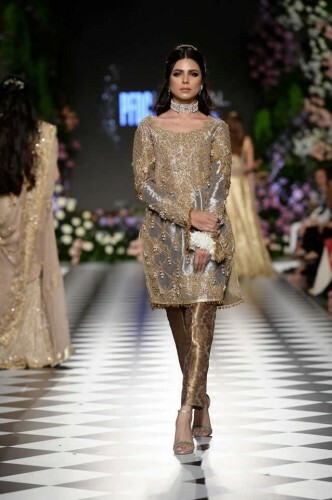 The dresses of this collection are prepared by the materials and fabrics from Jamavar, pure silk and tissues and the work of dabka and nakshi kaam is added with it.